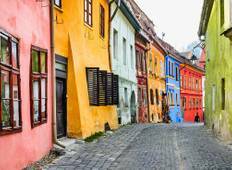 Find a Discovery trip that explores Romania. There are 38 tours to choose from, that range in length from 3 days up to 16 days. The most popular month for these tours is June, which has the most tour departures. "As a Belgian I didn't know much about Romania. Transylvania seemed this far far away..."
"Amazing experience! We had a fantastic tour with Vlad and Georgiana. They drove us..."
"Transylvania, how amazing place it is. Within Romania, but Transylvania is like its..."
"Thank you Todor and thank you Rolandia for this great experience. I had a blast!..." 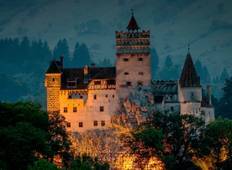 "I would whole-heartedly recommend this tour to anyone interested in discovering amazing..."
"Traveling to Transylvania was a dream come true for me. I learned so much about the..."